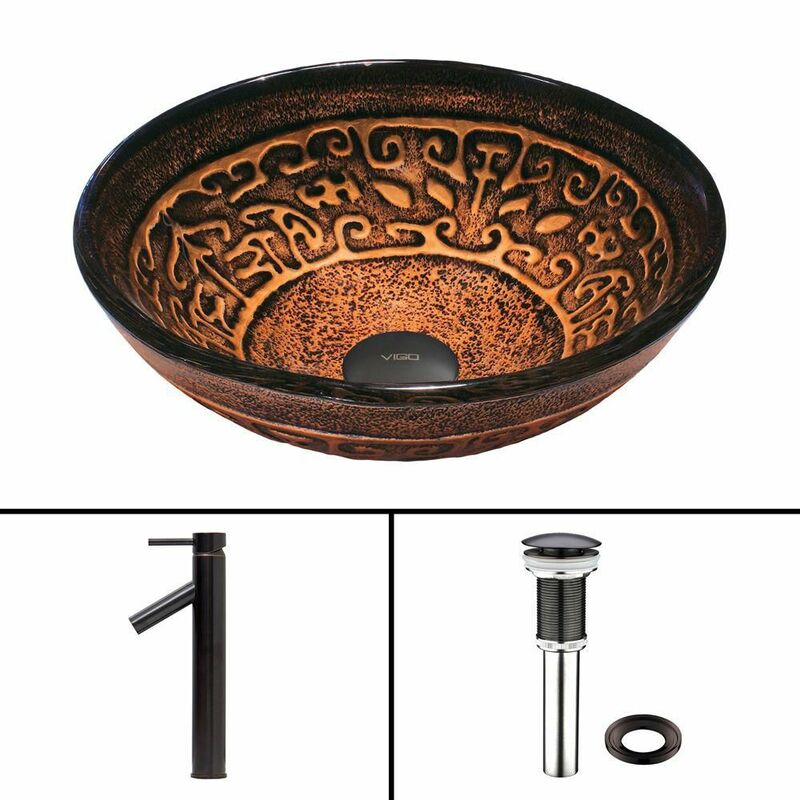 Glass Vessel Sink in Golden Greek with Dior Faucet in Antique Rubbed Bronze is rated 5.0 out of 5 by 1. Rated 5 out of 5 by Alto from My Vigo basin is beautiful!! I love it!! The color is so warm!! My Vigo basin is beautiful!! I love it!! The color is so warm! !